Advanced Technocracy Inc. is Manufacturer, Exporter & Supplier of Combustion And Fuel Gas Emissions. We are engaged in providing Gas Analysis Systems which is designed for precision gas analysis in a wide range of production & research processes. 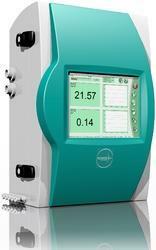 A fast response inlet combined with intelligent trips & instant process views provide for sensitive & reliable monitoring of both reagent & low level gases. With the valuable assistance of skilled team of professionals, we are engaged in offering an extensive range of high-quality Orsat Gas Analysis Apparatus. The analysis of human respiration - breath gas analysis - for the purpose of medical diagnostics is a non-invasive method with a big future potential. The method will play an important role in the early diagnosis as well as with the monitoring of the course of a desease. Accuracy: 12% of Full Scale. 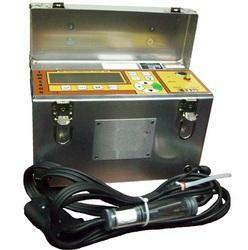 - Gas type range: CO2, H2S, CO, NH3, SO2, Cl2 etc.